ATLANTA — Officials with a county in Georgia have revised a zoning ordinance that banned small churches in response to a lawsuit filed by a prominent Christian organization. “A place of worship shall be located on a minimum of three acres dedicated solely for the place of worship or on its own recorded lot of at least three acres in size . . . ” the Rockdale County zoning ordinance read until recently. As previously reported, in 2011, the newly-formed New Generation Christian Church in Conyers requested a meter to heat a building that they wanted to meet in, but the county refused, citing that the location was too small. They requested permission for another plot the following year, but were again turned down because it was located in an industrial zone. The county refused New Generation Christian Church a third time after they desired to rent a building on property that was deemed to violate the ordinance because it was less than three acres in size. 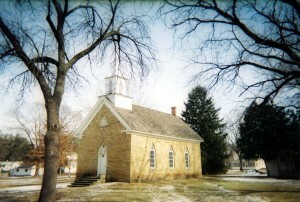 Consequently, the church was forced to meet in the basement of a jewelry store as it could not afford to purchase or lease three acres of property. The nationally-recognized Christian legal organization Alliance Defense Freedom (ADF) then filed a lawsuit in 2012 against Rockdale County officials, stating that the zoning ordinance violates the Constitution, as well as the Religious Land Use and Institutionalized Persons Act, a federal statute that serves to protect churches from over-restrictive zoning regulations. As a result, Rockdale County officials agreed to settle the matter, recently revising the zoning code and conceding to pay $15,000 in damages to New Generation Christian Church and $15,000 in attorneys’ fees. “Government officials shouldn’t use zoning restrictions to discriminate against small, start-up churches that want to minister to communities in need,” said ADF Senior Legal Counsel Erik Stanley in a recent news release about the matter. As previously reported, small Bible studies and small churches nationwide have been finding it difficult to meet without zoning opposition. In San Juan Capistrano, California a couple had been fined $300 for violating the city’s zoning ordinance, which prohibits “religious, fraternal or non-profit [home] gatherings” of 4 or more people without a permit. However, due to the public outcry over the case, the city council changed its zoning code to remove penalties against those who host home Bible studies without government permission. In Prince George’s County, Maryland, the county council enacted an ordinance that requires those meeting at home for Bible studies or worship to be subjected to an extensive zoning process. The process mandates noise and traffic studies, which can take up to one year to complete and cost up to $10,000.